Greta (Garbo, as her foster mom nicknamed her) is temporarily in a foster home being evaluated and eating up a storm. 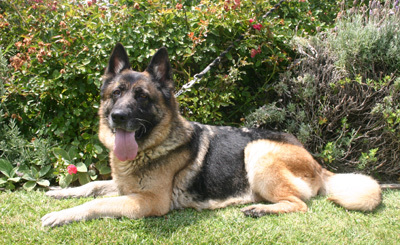 Greta is a well-bred German Shepherd from German lines. She is a massively-built girl; has a head like a Panda, and a big-boned frame. 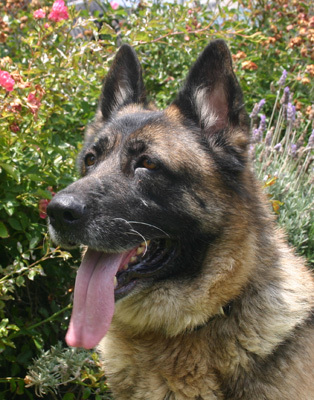 Greta was recently bred. 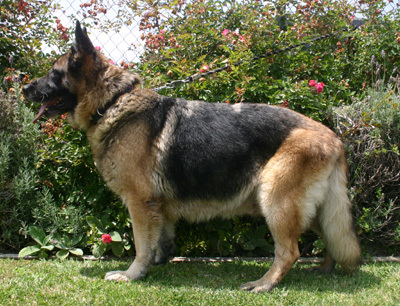 We're sure her puppies were gorgeous and the breeder made lots of money at her expense. Some unethical breeders keep a replacement female pup and dump the mother on the street like so much garbage. 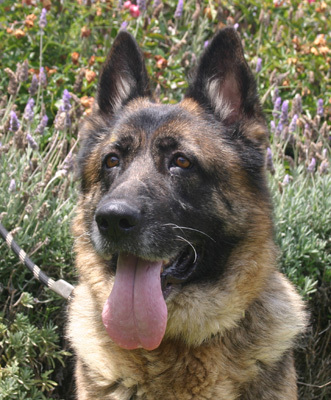 Greta loves to go for a walk; she responds well to corrections and is already walking on a loose lead most of the time. So far, she loves all people and wants to stick with her foster mom wherever she goes. She's happy sleeping at her feet while she works at her computer. She's crazy about men, too; to her delight, Jason, a young college student is walking her each evening. She is a quiet girl; seldom barks and offers just a little whine of protest if she thinks she'll be left behind. She happily loads into a crate in the car. Greta is easy-going unless challenged, then she will defend herself. She may be happier as your top dog. At a recent block party, Greta saw cats dashing by and, though very alert and interested, she was easily disuaded from taking further action, though had she been off-leash, kitty may have been pursued. She was very tolerant of the little kids clamoring to pet her soft, fluffy noggin and acknowledged each with a lick of thanks. The vet thinks Greta is 6 years old and is now about 90 pounds. 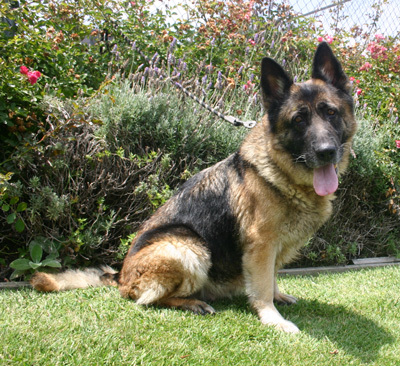 Greta is housebroken, micro-chipped, spayed and ready for her new life. We love our big beautiful girl and so will you!